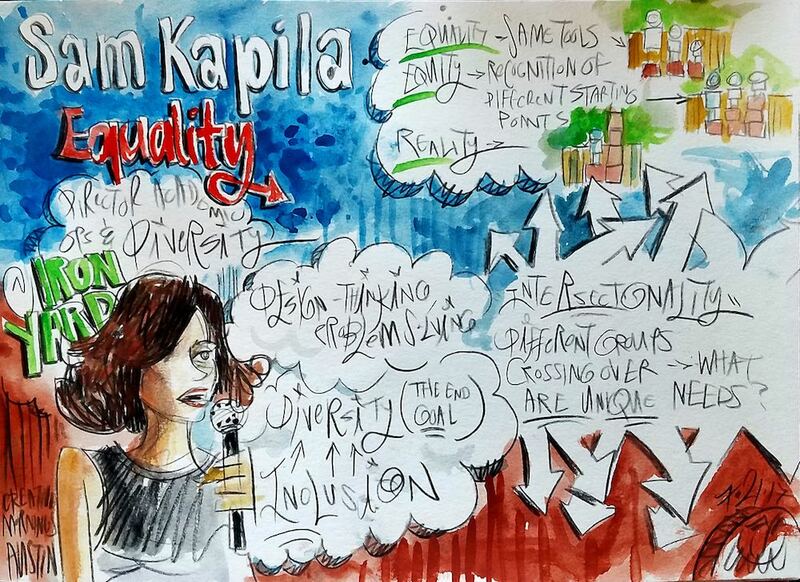 On August 21st, I spoke at Creative Mornings in Austin, for their global theme, “equality”. This was something I’ve only dreamed of since Creative Mornings began—as I was reminded by one of the organizers—so getting to speak in my home city in front of people I love and people I admire, was a honor. Creative Mornings uploaded the edited video of my talk, some awesome attendees made sketches, and I felt really lucky to be able to speak about a topic I care about deeply. The audience asked great question and I got to share a lot of what I did at TIY, with overseeing the academic side of a national scholarship, and what I learned along the way. Check out some parts of the event below! 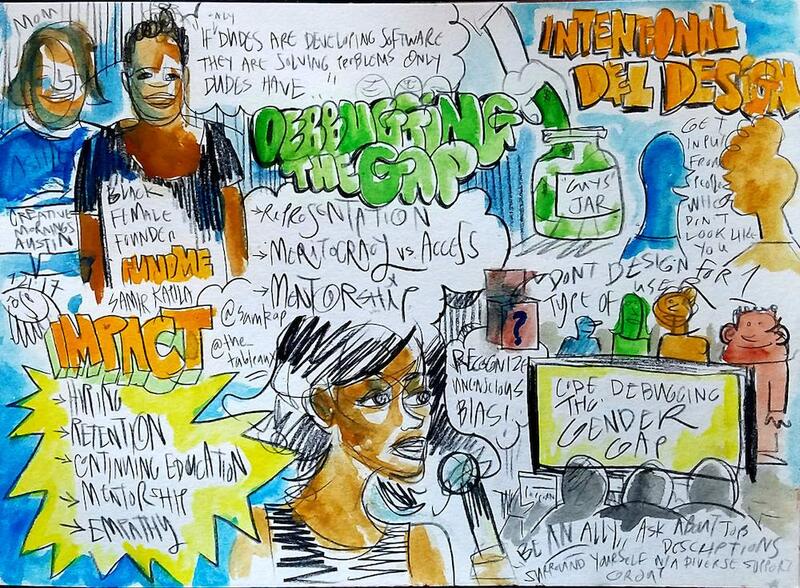 Here are some AWESOME sketches from the talk, by artist, Ami Plasse.